I finally have another Friday Favorites to talk about. 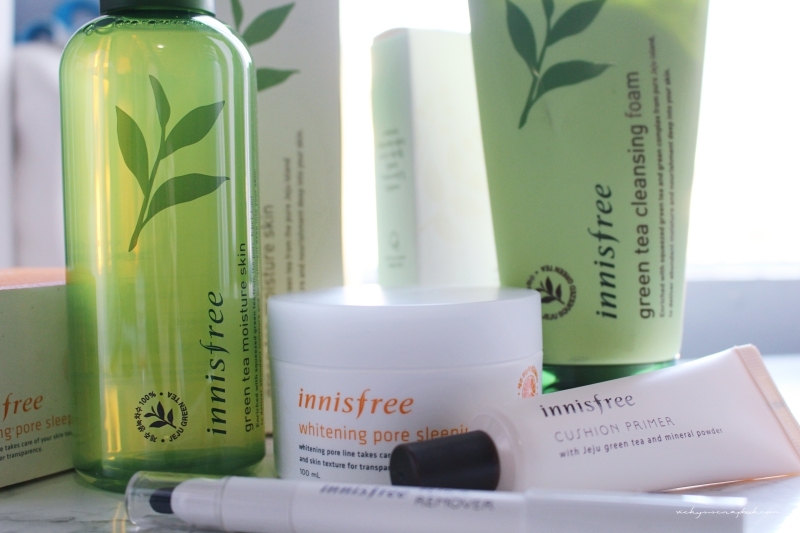 This time I’m focusing on a favorite cosmetic brand: innisfree. If you haven’t heard of innisfree, they are a Korean cosmetic company that promotes the benefits from nature and eco-friendly packaging. I bought a lot of innisfree products and I just received them the other day. If you don’t live in South Korea like me but use Korean cosmetics, I suggest purchasing them from Korea Depart; I would only use this site when I have a lot of cosmetics I need to buy because shipping is a little high. They have different sales all the time and this time I was in luck, it was innisfree. 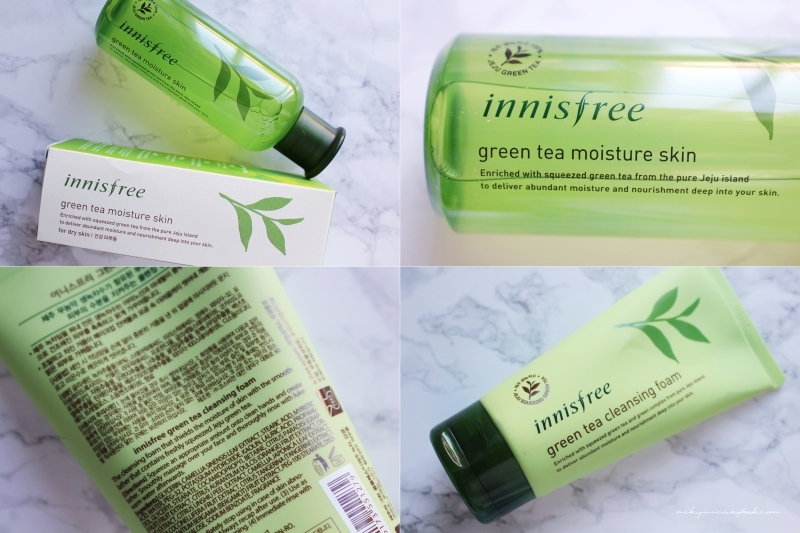 I don’t recall if I mentioned this before but I really like the green tea line of skincare from innisfree. I was running low on the cleansing foam even after stocking some from my Korea trip. I was running low on toner as well and decided to try out the Green tea moisture skin, which notes it’s for dry skin. I tried their cushion base and it’s only ok. But since it’s the summer now, I really want to try a primer. I think innisfree has better skincare versus makeup but price is reasonable so I bought it. It seems to be a clear gel form and I’ll have to see how well it does on my face. I’ve been eyeing this product for a while now. They call it a pencil remover which is essentially for you to correct your makeup throughout the day. One end is a sponge like applicator and the other end feels like a chapstick. I tried out the chapstick like end and it really worked well to remove the smudged end of the day under eye makeup; it makes the area smoother for the cosmetic to be swiped off your face. I’ve tried a sleeping mask from the green tea line and I really love that one. 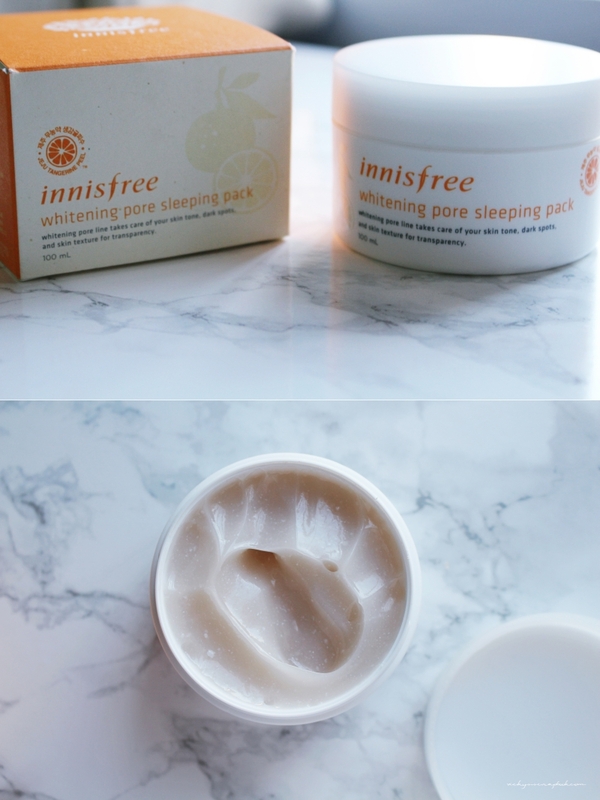 The whitening pore sleeping pack seems to be a newer product. It claims to take care of your skin tone and dark spots. In preparation of the summer sun, I think this would be really useful. I tend to get spots around my eyes. I previously used a cream from Skinfood that helped with it but they discontinued the product. Hopefully this mask could replace that. This one is not an innisfree product but I really looking forward to receiving this one. I like changing them out versus washing them so I’m very excited to have some clean ones. 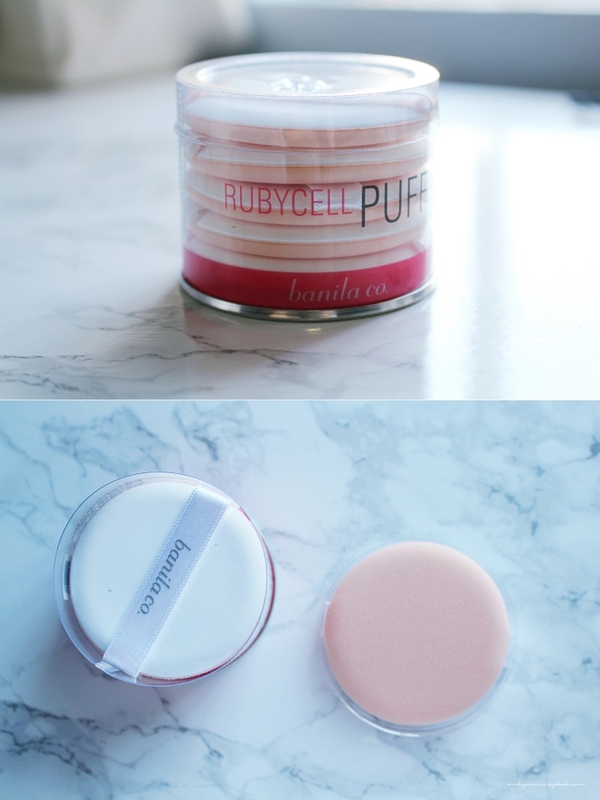 Cushion foundations have been all the hype lately but have you noticed a majority of them use the same type of puff (if you use a cushion, it’s the blue ones). Banila Co. uses a different one with a peach colored underside. I thought at first it was just the color but it’s actually a much softer puff. They have been out of stock on Korea Depart for a while now but I was finally able to purchase it! Who knew I could be so excited about a makeup puff LOL. What cosmetic brand or product keeps you excited? I’ve never heard about this brand but the packaging looks really nice! Thanks for sharing! Ooooh tell me how the mask is 😀 Hahaha I want a new sleeping mask too ever since I ran out of the Laneige ones ❤ And I must get the Banila Co. cushions as well! They look so pretty! Would love to try that sleeping! 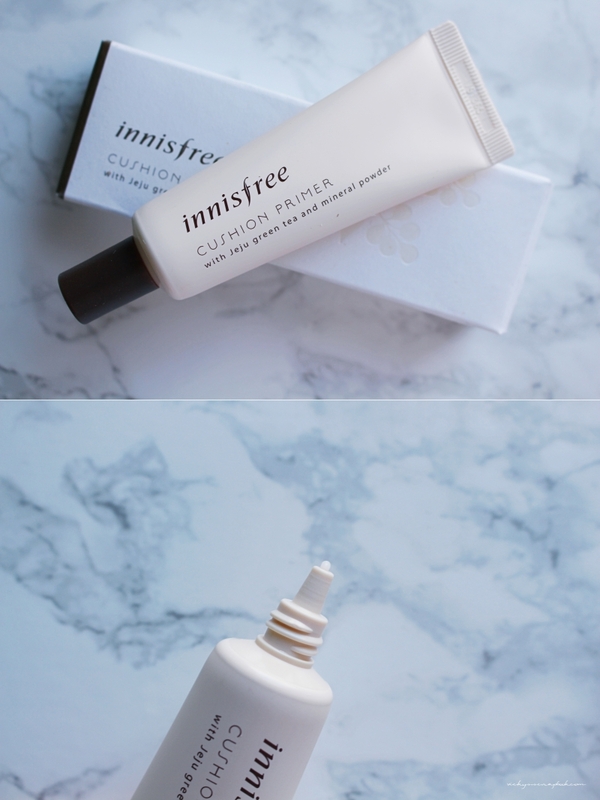 Always love reading reviews from my favourtie beauty brand- innisfree!!!! The eye remover is really good, I got one as well, very handy, can tuck it in bag and erase those smudged. I am currently trying their new line that came out this spring- Jeju sparkling mineral cream, it’s a great replacement for their Orchid Enriched Cream that it’s good for winter but a bit too much for summer for dry sensitive skin.